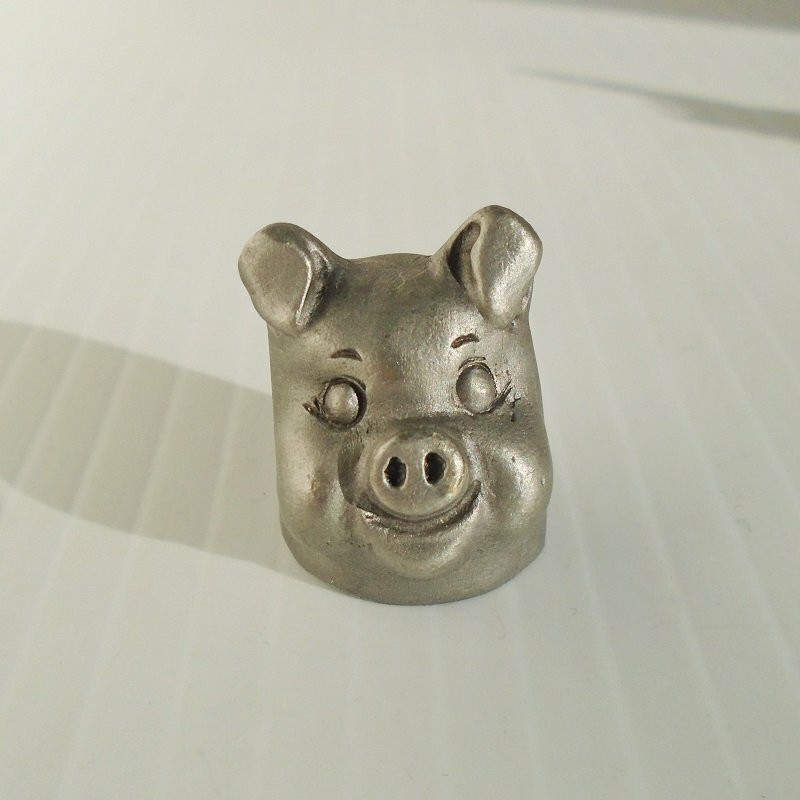 Souvenir pewter thimble featuring a pig head with a big smile. Signed Spoontiques and dated 1980. Estate purchase. Here's one of several souvenir pewter thimbles that I purchased recently at an estate sale. It features a pig head and is signed and dated. It stands 1 inch tall. It is marked Spoontiques on the back and is dated 1980. It would make a great addition to your collection as it's in wonderful condition. Buyer to pay USPS First Class Mail Parcel delivery charges of $4.40. Delivery is from Arizona.